In our lifetime, we are raised and cared by six mothers. The mother who gives birth and raises us needs no introduction. She is the embodiment of love and care. Paternal and maternal grandmothers being second and third. Grandmothers are one of the most cherished humans in our lives. We never leave grandmother's house either hungry or empty handed. The grandmother's houses are consistently filled with delicious food and snacks. They know all our favorite snacks and keep them stocked for when we are about to visit them. Forth being the mother-in-law, ignoring any related stereotypes, she can be a mother to her son-in-law showing him care and affection. Mother Earth being the fifth mother, is a personification of life-giving and nurturing. 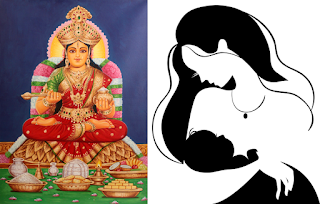 Sixth and last mother being Goddess Annapurna, a Hindu goddess of nourishment. One common thing between all these mothers is "food." Hailing from a middle-class family, I had a very normal childhood and appeased by my mother's appeasing and healthy food. I always found peace at gluttoning the food and snacks. I never had fear and guilt about overeating food, but only joy. Hippocrates famously quoted food and health, “Let food be thy medicine and let thy medicine be food.” However, about 1.9 billion people in this our world are overweight and calls for eating and living healthy lives . It is crucial to maintaining our personal health by eating healthily and having a balanced diet. So the important question is what type of food is nutritious to our body. A balanced diet with adequate intake of nutritious food and regular physical exercise is a key to good and healthy and disease free lifestyle. Monitoring the daily food intake is one of the easiest ways to take control of our health. Besides, the tracking the calories we need, we also need to look out for nutrient timing. This will promote health, workout performance, and get/stay lean. Nutrient timing strategies are based on how the body handles different types of food at different times. My blog name "aaichisavali" literally translates to "Mother's shadow." As the name the suggests, the blog is targeted at cooking food in a healthy way and daily calorie monitoring.